Thursday, October 4, 6:30 - 8:00 pm On October 4th we are holding our third annual Thanksgiving design night. It was a hit the last two years that we cannot wait to do it again this fall! 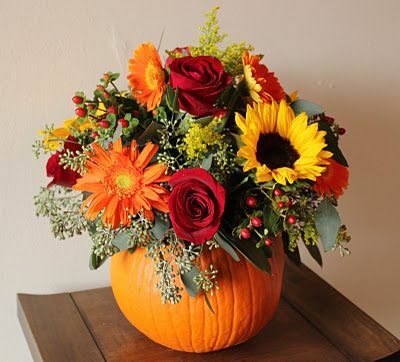 It will consist of making a Thanksgiving table centrepiece in a pumpkin! We will be holding this event in the Code’s Mill Atrium just outside of our shop. It starts at 6:30 pm and ends at 8:00 pm. 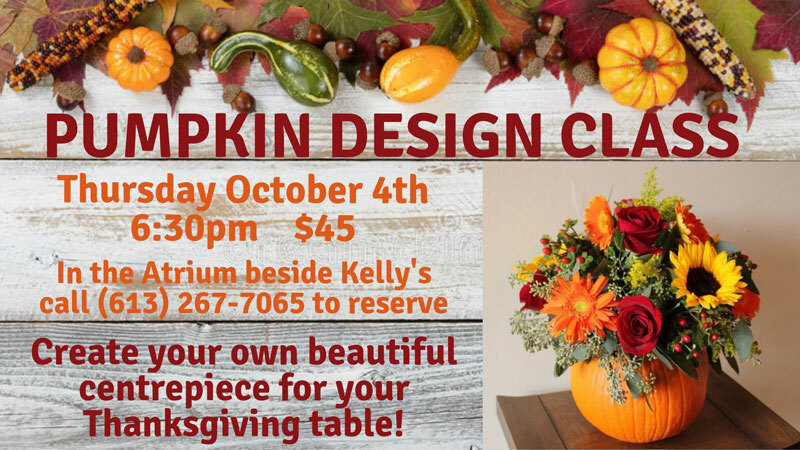 Space is limited for this design night so call to reserve your spot soon. The cost is $50 and we ask that you bring your own pair of cutting shears or scissors. We hope to see you there!